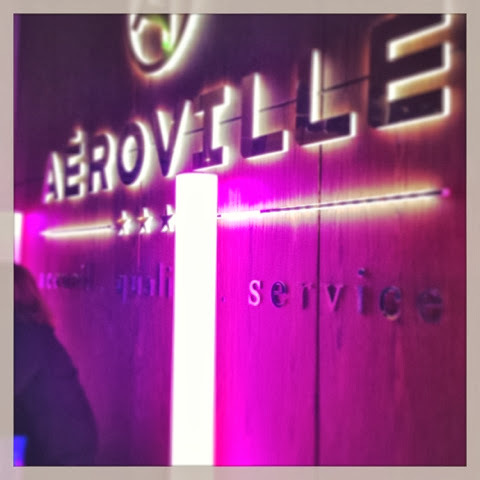 Aeroville Paris, my worst shopping experience ever! Anyone who knows me or reads my blog knows that I am a shopping addict. I feel a draw from shops like a magnet. It is boarder line an addiction. I cannot leave a shopping centre without a purchase. If I can't find anything, I feel as though I've failed and feel a genuine sadness, which is slightly dis concerting. You can see that the Asian gentleman is about to take his own life. I can emphasise. It is as dull as it comes, and just to make it even more intolerable I am missing Scarlett terribly, she is at home with my mum and dad. 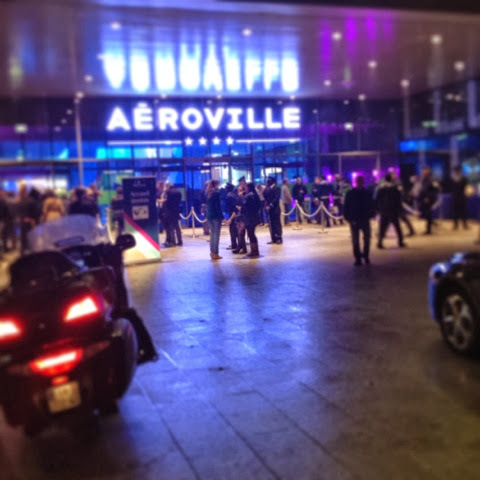 So, you can imagine my excitement when it was suggested that we visit the opening event of a new shopping centre opening nearby called Aeroville. It tempted me with the excitement of 200 new shops, restaurants and bars. It started at 8 and finished at midnight. I took Ian and my three other colleagues off to the opening event. It started badly when we were forces to queue for 45 minutes for a taxi outside the exhibition. 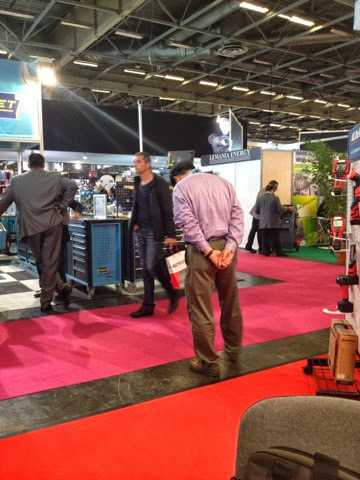 The show finished at 7, so you would think logically that there would be a drove of taxis waiting for the guests and exhibitors to leave. Not one! It was painful. A few sneaked to the front with weak stories of late flights and injured backs. Finally, we jumped to a taxi driven by a Chinese older lady. She seemed nervous, which made me nervous. She asked me several times for directions, as a non Parisian citizen I clearly wasn't very helpful, but high disgruntled as I watched the meter go up. As we arrived at the enormous, modern, space ship style shopping centre, we found our self grid locked. We could just see a stream of red lights through the pouring rain. Ian looked un impressed. I started to think perhaps this wasn't the best idea after a 10 hour day at the show. I hadn't anticipated how many people would be attending. Too late now, we were well and truly grid locked! When we finally arrived inside the shopping centre, we were greeted by a rather angry looking French lady, who clearly did not want to be there. The shopping mall halls were crammed with excited shoppers. Some of the shops were not even ready yet, with staff still stacking shelves. The centre was pristine with large, beautiful shops with amazing displays and inviting offers. Some if my favourite shows were the large Kinko make-up shop ( check this out online, it's an amazing Italian cheapy make-up shop), Sephora, Pull and Bear and Berska. All favourites of mine. It's hard to shop when you have an angry faced husband and two Taiwanese colleagues in tow. We decided to head straight to the restaurants and bars. As we approached the Food Court area it was almost impossible to move for the number of people. It was horrendous. I felt claustrophobic and sick. I was really regretting this idea. The restaurants looked beautiful. 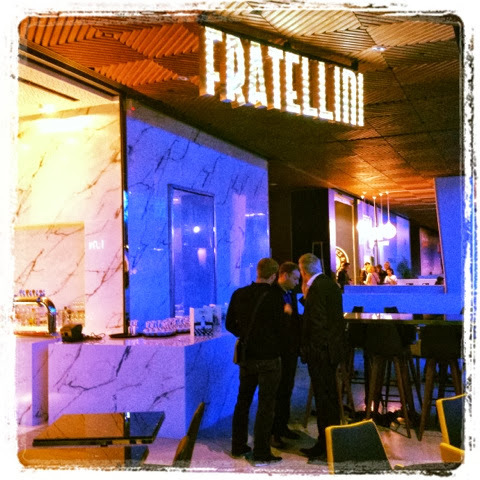 A wide selection of restaurants and bars from around the world. Unfortunately, they were all closed:-( With hungry tummies, and all feeling very exhausted we decided to cut our loses and head back to the hotel. Close to midnight we got back to the hotel. Exhausted, hungry, fed up with very sore feet! Despite the amount of money spent on this chic shopping mall on the outskirts of Paris and the reasonably impressive shops, the horrendous organisation has put me off ever putting my foot back in this shopping centre. For me to refuse to go shopping, it must have really been a bad experience!